We all know that cell phones are dime a dozen, and basically everyone I know has one. I suppose only the retired segment of the population couldn’t care less about new features that are introduced with each generation of handsets, but a cell phone is an essential item for today and no longer considered to be a luxury gadget to have. While phone manufacturers have been pushing a whole bunch of handsets down our throats with each quarter (remember back in the good old days where Nokia released just a couple of handsets each year? ), there are a couple of companies who have decided that the consumer should be the one who chooses what they want to see inside each handset instead of getting features which they don’t want/need. 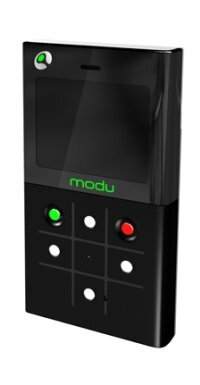 First off we have Modu from Israel who rolled out a GSM handset that will be released this October, coming in the form of a tiny phone which can slide into special “jackets” that are actually phone exteriors with extra functionality. Not only that, you get software which instructs the phone about special color schemes in addition to other features. Imagine needing to snap a photo with your Modu at that moment, where you will slide in a camera “jacket” only to take it off and replace it with a QWERTY keyboard “jacket” whenever you don your business suit. The company is also working on other jackets that aren’t phone-based including GPS devices. Sounds like a dream, but do you actually want to carry different “jackets” with you wherever you go or one handset that has already everything packed inside? zzzPhone is banking on its build-to-order phone business model, claiming that you order a cell phone in pretty much the same way one orders PC from Dell. Head over to its website, select your desired features and the customized version will be sent to your doorstep. A base model retails for $149, where you can throw in extras such as a 7-megapixel camera, TV tuner or GPS module for extra dough.